It’s the holidays, and time to relax! Our design assistant at the ELLE DECORATION offices, Amy Reid, must have been planning how to spend her time off when she put together this post all about… beds! Looking to burst the four-poster paradigm and leave sleigh beds in the snow? Well, finding an attractive variation on the traditional rectangle is not that simple, but rest easy knowing that I’ve hunted down a few viable alternatives. With a focus on nature and, of course, relaxation, dreams in these beds are bound to be sweet. Waking up after a night in this womb-like bed from LOMME could well feel like a re-birth. LOMME stands forLight Over Matter Mind Evolution, and incorporates light, sound and massage therapies in its designs. 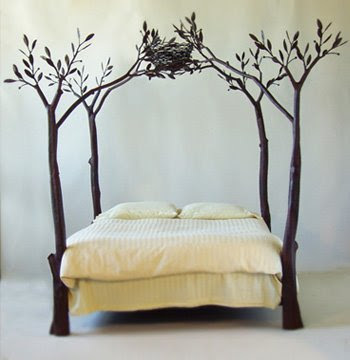 This romantic â€œnestâ€ by Shawn Lovell invites the outside realm into your bedroom, creating a magical suspension of disbelief. Cross a hammock with a Sealy Posturpedic, and what do you get? It’s the Gazebo Floating Bed by John Huff, thatâ€™s what! I wonder if it comes complete with a gorgeous view? 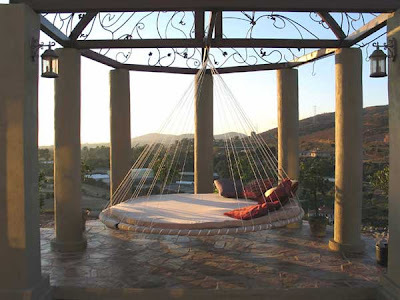 Daybeds urge afternoon slumbers and lazy, dozy siestas. 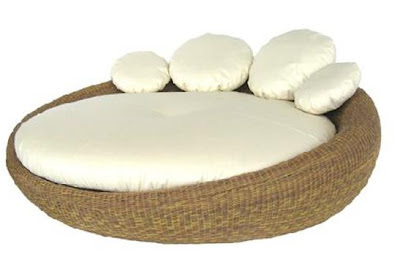 The Salome Daybed is one of many organic options available from the Lifeshop Collection. 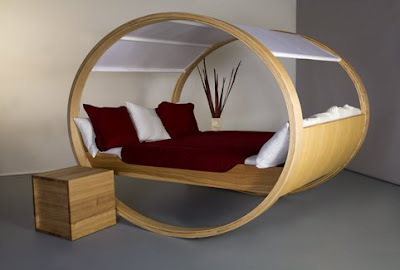 Imagine a rocking chair that you would allow you to nod off comfortably. Get your own Private Cloud, and you’ll be sleeping on Cloud Nine for sure!